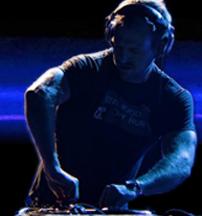 For more individual mashups and remixes go to the Music page here. HAPPY HOLIDAYS FROM PARTY BEN INFORMATION SYSTEMS, MASHUP PROVIDER TO THE STARS! Have some more champagne! It's hard to believe it was only a year ago that Party Ben Information Systems was forced by the world-wide recession to lay off its entire staff, including Party Ben himself, at what was to be our annual mandatory holiday company get-together. Of course, all of you in the stockroom, factory floor, human resources, and website-updating departments, you are truly missed, whatever your names were. But the good news is that thanks to these cost-cutting measures, the Party Ben brand is stronger than ever, and in fact, we've finally "gone" "Hollywood"! That's right, Hollywood, as in, showbiz, as in, "everything about it is appealing!" Those of you with keen ears may have noticed a "classic" Party Ben mashup popping up in the trailer for an upcoming film, but then you may have thought, "wait a minute, mashups can't be in movie trailers," and put it out of your mind, and gone to have a snack. But your first impression was correct! My 2007 track "Tender Umbrella," featuring the vocals of Rihanna and the music of General Public, is part of the trailer for the upcoming romantic comedy "Just Go With It," starring Adam Sandler and Jennifer Aniston. Let's take a look! "Tender Umbrella" starts about a minute in, and keeps going for a good little bit, surviving not one but two comedy drop-outs! Cool! 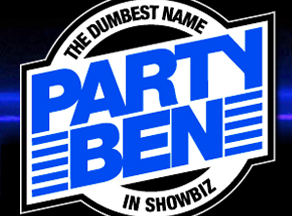 Now you probably have a variety of questions about this situation, and there are some that can be answered, and some that can't, mostly because all of us here at Party Ben Information Systems are easily distracted and pretty drunk, but also due to the whole "can't talk about it yet" sort of thing that is so common in Hollywood! But here's what can be said. Yes, Sony Pictures contacted me, and from what I understand it was Mr. Sandler himself who first heard a couple mashups somewhere, and was interested in using some sort of mashuppery in his upcoming movie. Yes, this and perhaps other mashup or mashups by myself and perhaps by others may or may not also be in the actual movie, and/or other accompanying ventures. Yes, in the case of Tender Umbrella, the original artists and labels gave the go-ahead (thanks everybody!) so I was able to get some official stems and redo it in much higher quality, but no, you can't have it. Yet. If ever. Yes, it actually ended up being easier to get my friend Spud's old CD with the extended mix of Tenderness on it than wait for the label to dig the original stems out of their vaults (thanks again Spud). And yes, this means I'm now rich and powerful and beautiful and friends with everybody in Tinseltown! Oh, you still have more questions? Just a second, we need more champagne. Okay, "Just Go With It" is apparently inspired by a '70s comedy and is all about becoming tangled in your own lies, something I know absolutely nothing about. It not only stars Mr. Sandler and Ms. Aniston but also Nicole Kidman (!) and Dave Matthews (!!) and is pretty funny. You'll be able to see it on February 11. And Party Ben Information Systems promises to sober up and tell you more, if there turns out to be more to tell, as soon as we know that. And if not, well then, this is good enough, and thanks Mr. Sandler and everybody at Sony and the various labels who have been really nice. In other news, as it is the end of the year, that means it's time for the always-completely-accurate Top 10 (and more) Albums and Singles of 2010, which we post over in this now-a-bit-harder-to-find Best Stuff Zone. Who could be on top this year? Was it Ke$ha as usual? No. But it might be LCD Soundsystem or Kanye! Find out by clicking on one of the words in this sentence! Also if you're interested in dancing around or guzzling drinks while Party Ben plays pre-recorded music, you have an opportunity to do that at Trigger on New Year's Eve where the awesome and quite good-looking MyKill and myself will be joining forces as the terrifying two headed DJ monster Party Killers. Because, see, our names... yeah. Anyway, it'll be fun! So, once again, happy holidays to everyone, and BRING ME MORE CHAMPAGNE DON'T YOU KNOW WHO I AM? YOU'LL NEVER WORK IN THIS TOWN AGAIN! I'LL RUIN YOU! !